Thanks to all who attended the launch of 3 WISE MEN. It was a great time of food, drink, some visuals, readings and discussion around the book. 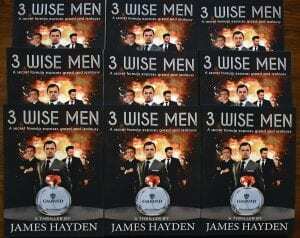 As a special treat there is a 5 day free launch of 3 WISE MEN on Amazon, staring tomorrow.